Air New Zealand is the national flag airline carrier of New Zealand with main hub at Auckland International Airport, New Zealand. Being a Star Alliance member, Air New Zealand concentrates more on the Australiasia and South Pacific flight routes but still offer worldwide flight services to Europe, North America and Asia. 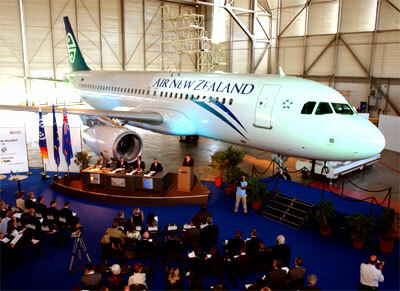 A total of four subsidiary airlines are wholly owned by Air New Zealand (Air Nelson, Eagle Airways, Mount Cook Airline and Freedom Air). The first 3 serves destinations in New Zealand, while Freedom Air, which is a low-cost budget international carrier operates flights services between New Zealand and eastern Australia and Fiji. Air New Zealand's network of airline lounges is known as The Koru Club and is located both in New Zealand and throughout the globe.